What is “flocking” and do I need it? Q: I’ve heard some people say that I should “flock” my Pentacon Six. What is “flocking” and do I need it? A: “Flocking” is a matt-black cloth-like material that is designed to eliminate all reflections of any light that strikes it. 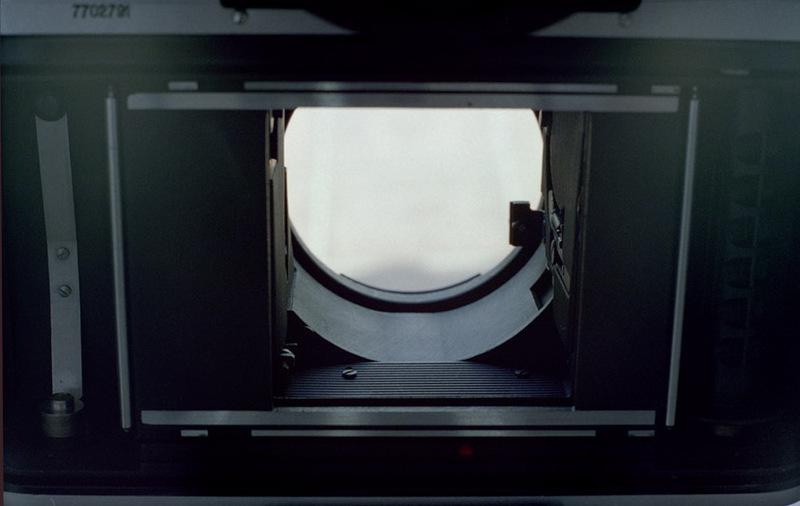 If you take off the lens of a Kiev 60 and look in the camera “throat”, you will see that it is black but very shiny! In fact, if you open the back of the camera, put the shutter on B and lock it open with a cable release, and then point your camera (with or without a lens) at a bright source of light, you will see light reflecting off various parts of the throat. This light will bounce around within the camera throat, and some of it will end up on the film! 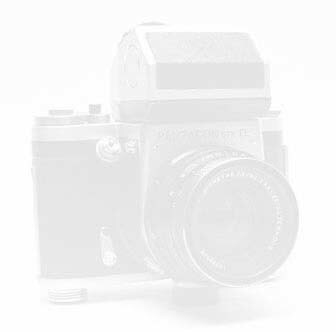 When I read of a “ghostly fog” in Jay Abend’s Kiev Kronicles review in Shutterbug magazine (Part 2, February 2000), I realised what had been degrading my Kiev 60 images! Fortunately, there is a solution. 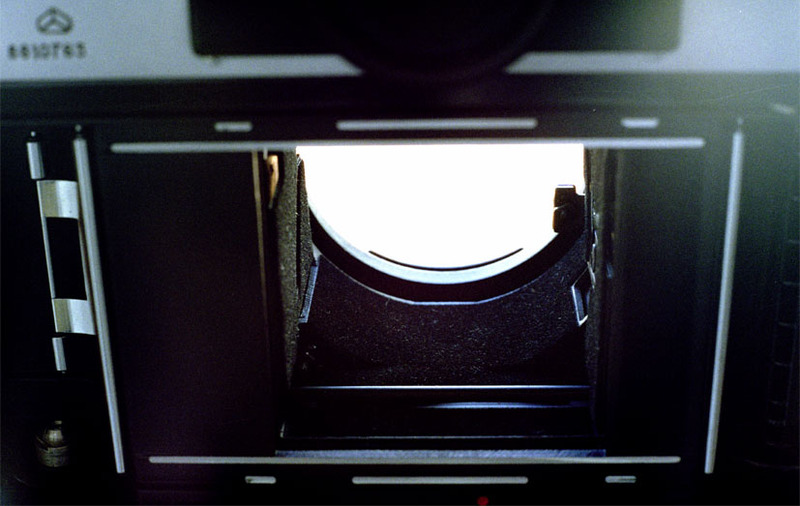 Baierfoto in Germany provides a flocking kit for the Kiev 60. The flocking is on a self-adhesive base, on which the shapes needed are carefully marked. Cut them out and apply them to the camera, and image contrast will be vastly improved. deliberately over-exposed by two stops the pictures that I took on another camera, in order to be sure of revealing shadow detail. In practice you will never have anything approaching this much light entering the camera, even at full aperture! The brightness of the sunshine and the deliberate over-exposure have caused serious flare within the taking camera for these shots and consequent inevitable degradation of the images. For our purposes here, this doesn’t matter, as what we wanted to compare was the reflections within the throat of the Kiev and Pentacon cameras. there can also be reflections from the back of the mirror, which is up in the taking position. Baier’s flocking kit also covers this. But do you need to flock your Pentacon Six? I am not sure. My first Pentacon Six, bought second-hand in 1977, was a pre-TL model, and the previous owner had added some flocking to the base of the lens throat. I do not know whether or not it was necessary. No other Pentacon Six that I have bought (they have all been the TL version, from various years) has had any flocking – and I have not found it necessary. Look at the picture bottom-right, above. 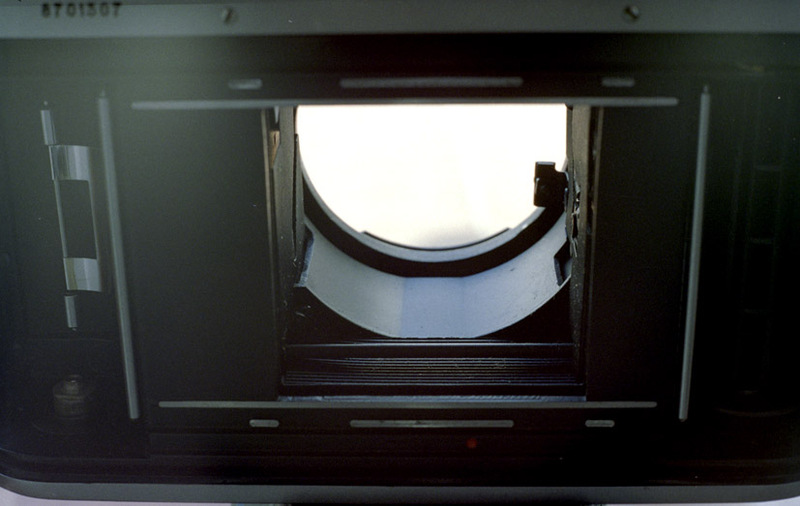 It is an unflocked Pentacon Six TL. The matt black finish is clearly superior not only to the unflocked Kiev 60 but also to the older Kiev 6C, which is good (top left). I have checked my Pentacon Sixes carefully, comparing them with the Hasselblad 500C described elsewhere on this website, and all components visible within the throat with a lens fitted are just as non-reflective as the Hasselblad’s throat (it is excellent). So I have not installed any flocking in my Pentacon Sixes. 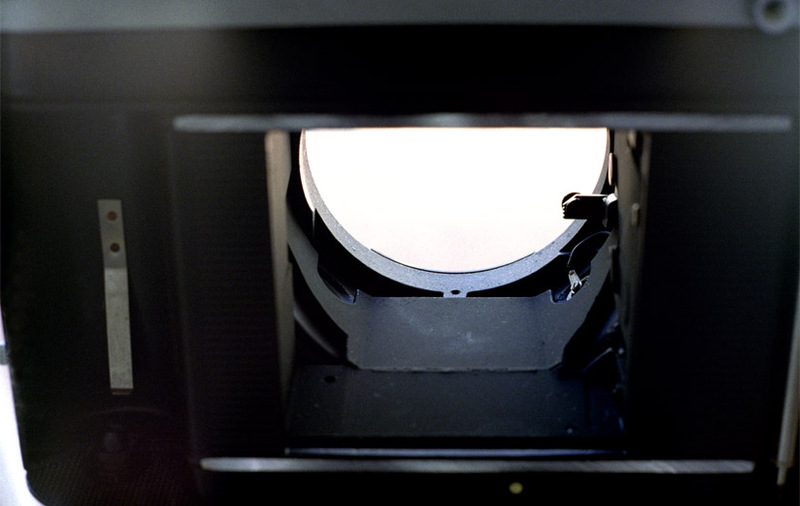 However, if you have an older model that does have reflective surfaces within the throat, Rolf-Dieter Baier of Baierfoto can now supply a flocking kit for the Pentacon Six, too. To go back to the Frequently-asked Questions front page, click here.